A couple of years later, after the car has shown Abarth 695 Tributo Ferrari, the Italian automaker is preparing once again a car that pays homage to another company's automotive industry. At this time, Maserati. According to the company's Abarth, the car 695 Tributo Maserati is a combination of characteristic features of the Abarth and Maserati - "is a high level of elegance fused with incredible comfort, and features excellent handling, fit for everyday journeys." 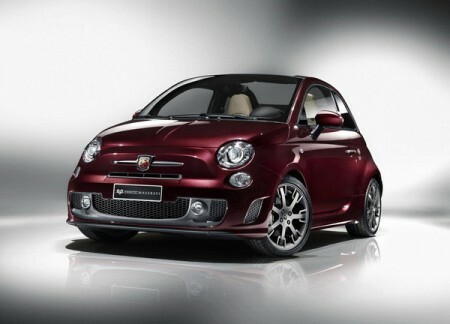 From a design standpoint the car is painted in the exclusive maroon, beige trim interior gets. And as its name, hatchback distinguish himself using a variety of carbon element, not a cheap air conditioner and set semnadtsatidyuymovyh drives. As for performance car, the Abarth 695 Tributo Maserati will be powered by a turbocharged 1.4-liter engine producing 180 horsepower.